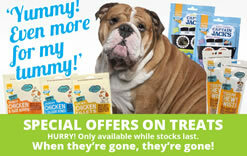 Charlie Chinchilla is a carefully blended mixed food, that contains only high quality ingredients, that has been formulated to provide your chinchilla with a nutritionally complete food, with all the essential vitamins and minerals to keep fit and active. 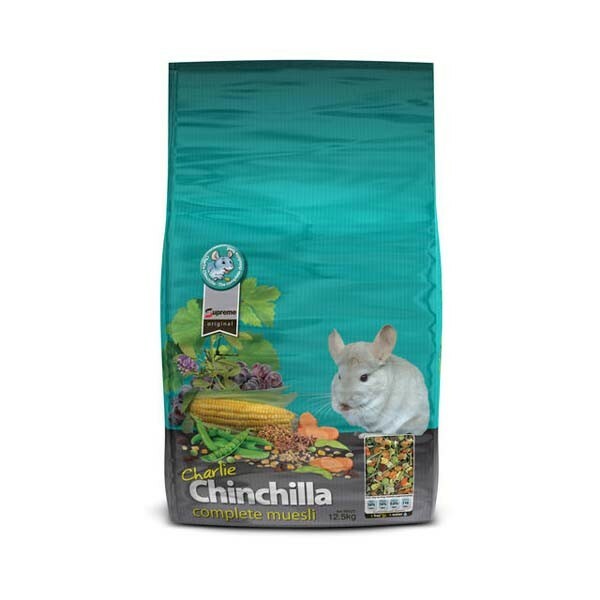 Charlie Chinchilla is a palatable alfalfa blended food mix which includes raisins, carrots and flaked peas, but does not contain any sunflower seeds or peanuts as although chinchilla's love them, too many can be bad for them and cause obesity. Charlie Chinchilla is also high in fibre and low in fat and will provide your chinchilla with a diversity of textures, tastes and smells to keep your chinchilla interested in food, but also provide them with a nutritionally balanced diet that will keep your chinchillas healthy. Regardless of the variety of food you feed, chinchilla's need a very bland diet composed of a good quality mixed food or chinchilla pellet with plenty of hay which is an essential source of fibre, that aids the digestion process. Like Rabbits and Guinea Pigs, Chinchilla's teeth continuously grow, therefore chewing on hay, twigs or wooded chews can help prevent dental problems from occurring. Charlie Chinchilla food should be supplied with a fresh supply of hay and water everyday and their diet should be as dry as possible.